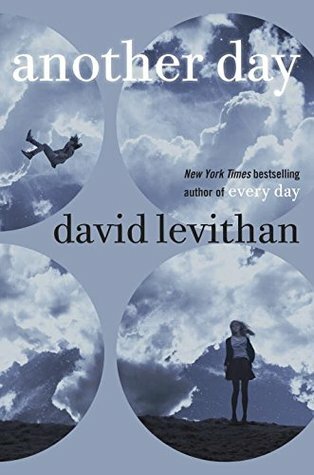 About four years ago, I read David Levithan’s young-adult bestseller Every Day, which is narrated by a genderless character known only as “A,” who wakes up each day in a different 16-year-old body. A seems comfortable in this unique life, that is until s/he inhabits the boyfriend of Rhiannon and shares an amazing day with her at the beach. After falling head over heels in love, A realizes just how difficult maintaining a relationship can be when you must constantly reintroduce yourself as someone else. Another Day is Levithan’s retelling of Every Day, this time in Rhiannon’s perspective. The high schooler may not have challenges as unusual as A’s, but dealing with uninvolved parents and an angry, alcoholic boyfriend are no walk in the park either. It’s Justin’s 180-degree personality turn from selfish to sensitive that convinces her that A truly is the body-snatcher he says he is. Pronoun usage is one of my few complaints of the novel. I’ve decided to use “he,” because it’s very clear that Rhiannon is only sexually attracted to A when he inhabits conventionally good-looking male bodies, but her constant second-guessing (he? she?) becomes tiresome after awhile. I wished that she would have mentally selected a gender and moved on or consciously decided to use a gender-neutral pronoun like “ze” to address her bias. This is, however, a relatively minor quip, because Levithan does a good job in all his novels to promote awareness and acceptance of all gender identities and sexual orientations. Although not as good as the original, Another Day is still an innovative love story with great characters. Rhiannon balances the trials of teen life well: at times meek and eager to please, prioritizing her emotionally abusive relationship over that with her friends, and at other times, mature beyond her years, knowing that respecting A’s hosts is more important than their own feelings. That said, I don’t believe Another Day can exist as a standalone novel, and I recommend that anyone interested should read Every Day for context. The love interests in each story can come across as a bit self-absorbed and oblivious (whether it’s Rhiannon’s hangup on gender or A’s naivete that love can conquer all), so it’s important to understand both POVs to get the complete picture. I may not have learned anything outrageously new or enlightening in this companion novel, but I found it sweet and endearing. Levithan continues to be one of my favorite authors, and it was nice to revisit this story again. Oh, how I wanted to enjoy this book more! 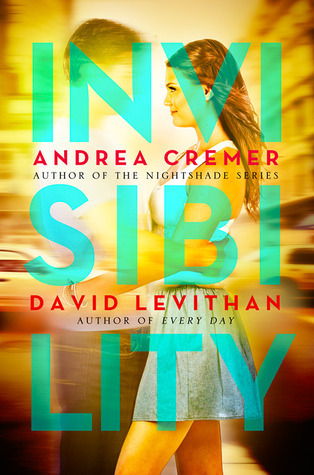 Invisibility, a collaboration between David Levithan (Every Day, The Lover’s Dictionary) and Andrea Cremer (The Nightshade series), was published in 2013 and seemed to be every YA lover’s dream. But while the story started out great, it only got more disappointing with each page. The book’s structure is certainly unique. The authors alternate chapters between two teenagers living in Manhattan: Levithan writing from the POV of Stephen, a boy cursed into invisibility by his grandfather, and Cremer writing as Elizabeth, his new next-door neighbor who discovers that she is the only one who can see him…and possibly cure him. This sounded similar to Every Day, since it also features a paranormal romance, but I quickly found out that it’s subpar to Levithan’s solo story. In that book, the protagonist known simply as “A” wakes up in a new person’s body every day (hence the title), and the reader is given almost no reason as to why. I appreciated that sentiment also seen in Kafka’s Metamorphosis, because the audience must take a leap of faith and begin in media res. However, Invisibility attempts to explain Stephen’s condition with poorly designed world creation in which magical curse-casters and spell-seekers exist in constant tension with one another–the former like Stephen’s grandfather whose nature it is to spread cruelty, and the latter like Elizabeth who have the power to keep them in check. There are so many plot holes in this story that it would take forever to list them, but the most egregious is that there is no explanation as to why Elizabeth is the only spell-seeker who can see Stephen when there are others who can’t. The rules of this magical universe are haphazard, and the overall logic is just abysmal. Nope, not even if I’m looking at you, Ryan Gosling! As much as the book is entertaining and keeps you turning pages, I find it a rushed, terribly thought-out tale that reads more like mediocre fan-fiction than a legitimate novel. I rated this 3 stars because Levithan’s writing prowess is undeniable, but it far outshines Cremer’s. While I’m happy for her for getting the chance to ride his coattails, I’ll stick to the work of her writing partner in the future. Happy New Year everybody! There’s nothing like starting the year off right with a good book, and 2015 is shaping up to have many good books in store for us! I wanted to share my top five most anticipated books of 2015, so let’s get right to it! 1. 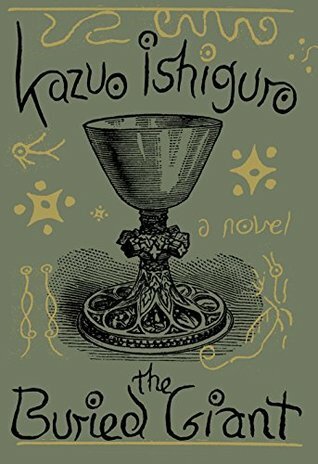 The Buried Giant by Kazuo Ishiguro, release date March 3. It’s been almost an entire decade since Ishiguro’s last novel Never Let Me Go, which was awarded TIME magazine’s ‘Best Book of 2005’ and listed in its ‘Top 100 Best English-Language Novels.’ The novel is also one of my absolute favorites, and after reading The Remains of the Day and When We Were Orphans, it’s safe to say that Ishiguro is one of my most admired authors. I can’t imagine The Buried Giant being anything less than extraordinary. 2. P.S. I Still Love You by Jenny Han, release date June 2 (cover art TBR). This sequel to To All the Boys I’ve Loved Before follows Lara Jean as she sorts out her feelings for Peter Kavinsky, the boy who blurred the lines between pretend and real boyfriend. With all the buzz in the book blogosphere, it’s clear that Han is a rising YA star with scores of devoted fans like me who are just itching to get their hands on this book! 3. China Rich Girlfriend by Kevin Kwan, release date June 16. Crazy Rich Asians was one of the most entertaining books I read in 2014, and I cannot wait for this sequel, which continues the story of Rachel Chu, the most envied girl in the Far East. Engaged to Asia’s most eligible billionaire bachelor, she tries to balance wedding planning among the uber-rich while searching for her estranged father in China. I’m so ready for this crazy whirlwind rollercoaster! 4. If I Could Turn Back Time by Beth Harbison, release date July 28. I can’t forget Beth Harbison, who has penned some great chick-lit. I enjoyed Shoe Addicts Anonymous and Secrets of a Shoe Addict, and I’ve got When in Doubt, Add Butter waiting for me on my bookshelf. This latest novel with “Freaky Friday” similarities sounds like a hoot. A 30-something waking up in her 18-year-old body after a boating accident? Count me in! 5. Rhiannon by David Levithan, release date unknown (cover art TBR). YA fans everywhere are hyperventilating over this companion book to Every Day, this time written from the perspective of A’s love interest Rhiannon. Every Day has to be the most unique romance that I have ever read, and I’m sure that Levithan will knock this book out of the park like he always does! So that’s it! Which books are you most looking forward to in 2015? Share your thoughts in the comments! 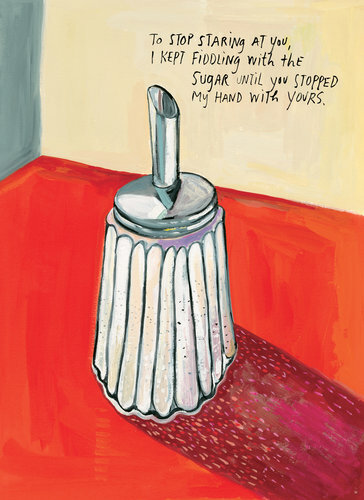 Well, I didn’t think that any book this year would be able to top David Levithan’s Every Day, but it turns out that Daniel Handler and Maira Kalman created an even better tale of teen romance! Why We Broke Up (2011) is written in the form of a very long letter by Min (short for Minerva) Green, a teenage girl who has left her boyfriend Ed Slaterton. But instead of a typical break-up story, each chapter revolves around a particular item from their relationship. Min has accumulated various odds and ends–bottle caps, a movie ticket, an egg cuber–and now she is dumping the box of love trinkets on his doorstep just as she is dumping him. One of the many cool things about this book is its creation story: An interview at the end of the audiobook explained that Handler (author of A Series of Unfortunate Events under the pen name Lemony Snicket) and Kalman (artist for books, magazines, and fashion designers) had worked together on a previous project called 13 Words when Kalman suggested a bunch of items that she wanted to paint. Handler then constructed the novel around the illustrations, rather than vice versa. I was intrigued by this novel because I loved Handler’s A Series of Unfortunate Events and I had not yet read any books published under his real name. 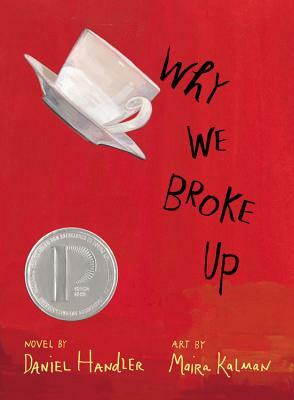 Disappointed after Meg Cabot’s Jinx, I hoped Why We Broke Up would better depict teenage struggles in life and love. I certainly wasn’t disappointed! Handler does an excellent job getting inside the mind of a high school girl: Teenagers and adults alike can relate to Min’s body image issues, fights with her mother, and anxiety over her reputation after losing her virginity. Unlike many female protagonists, she’s multidimensional. Outspoken about her Jewish heritage and passion for classic cinema, she manages to juggle her boyfriend and friends with relative grace. She also learns how difficult relationships are when she would rather relax in coffee shops than sit through Ed’s basketball practices; although many adults flourish in opposites-attract partnerships, it’s a monumental challenge in school when your cliques try to pull you two apart. I appreciated how Min still preserved her identity, even though she couldn’t preserve her relationship. Of course, the reader quickly gets addicted to this story, as I found myself listening to chapter after chapter hoping to get more kernels of information on exactly “Why We Broke Up.” And although Min and Ed ended as quickly as they began (they didn’t even make it to their second month anniversary), there were plenty of ups and downs on their emotional rollercoaster. So if you’re looking for a realistic portrayal of puppy love, regardless of your own age, you’ll greatly enjoy Why We Broke Up. It’s beautifully written and illustrated, so it’s no surprise to hear that its movie adaptation will be released next Valentine’s Day, starring “True Grit” actress Hailee Steinfeld (also portraying Juliet in “Romeo and Juliet” and Petra in “Ender’s Game,” both of which are in theaters this year!). And the fun doesn’t stop there! (or as the infomercials say, “But wait! There’s more!”). 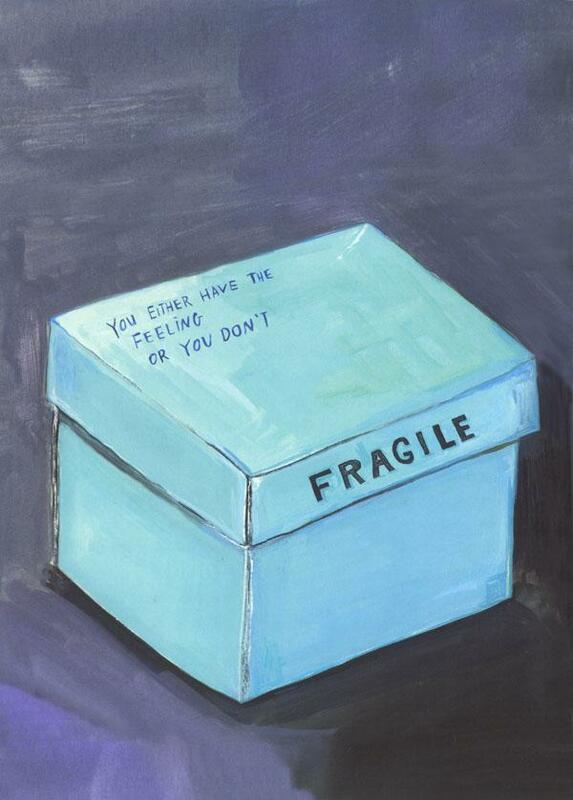 If you’re a little bummed that you can’t fully relate to the break-up of Min and Ed, check out The Why We Broke Up Project Tumblr, where citizens and celebrities alike have revealed the details behind their relationship downfalls. My favorite entry? David Levithan’s, if you can imagine! 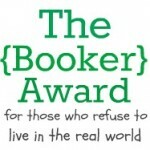 Levithan, I loved Every Day, but Handler just stole the spot for my favorite book of the year! However, with nine months left, who knows what could happen? I would say Happy Super Bowl Sunday, but most in my neck of the woods aren’t happy since the San Francisco 49ers lost the big game. I was in tears myself, but not over the score. I just finished David Levithan’s novel Every Day, which got me pretty emotional towards the end. I know that many of you have read this book already and want to hear my thoughts, so let’s jump right in! If you aren’t familiar with this story, my summary’s going to sound very strange. The narrator is a disembodied spirit who calls himself A and wakes up every day in a different 16-year-old’s body. I say “himself” due to hetero-normative biases, but technically A has no gender. Levithan does his best to fight society’s definition of normalcy, by placing A in a variety of bodies: male, female, straight, gay, transgender, obese, gorgeous, introverted, hostile. There were even a couple heart-wrenching chapters in which A found himself in people suffering from addiction and depression. Because of this body-hopping, A has observed a vast amount of life in a short amount of time, dealing with countless combinations of sibling rivalries, financial situations, and school cliques. But it isn’t until he falls in love with Rhiannon after possessing her boyfriend Justin when he realizes just how much he’s missing. Not only can he never meet her friends and family, he often has to face waking up hours away from her, or with too many obligations to the person he’s inhabiting in order to see her. This book could be narrowed down to a simple boy(? )-meets-girl plot, which Levithan writes extremely well, navigating the roller-coaster of teenage love. However, it’s A’s unique struggle that allows us to feel grateful for things we take for granted, like the security of knowing that someone is there for you and the hope of growing together. Luckily, the author places limitations on A’s travels, given that he’d be treading in ethically murky water if he could become people of any age. A also never seems to have to deal with being inside the truly dangerous and psychotic, thank goodness. I’m not trivializing the difficulty of trying to find love in A’s world. Life is hard at 16 or 61, but I sometimes thought of how much easier it seemed when you didn’t have to worry about finding work or paying rent. The love between A and Rhiannon is as stable as it could be in such circumstances, with so many innocently sweet moments. It’s interesting that with such a weird premise, you can still catch yourself walking down memory lane. That’s the beauty of the story–it doesn’t matter who you are, we’re all bound by human experiences. However, I did appreciate the realism amidst the fantasy. A would suffer from the naive thinking that love conquers all, but Rhiannon struggled to remain open-minded when meeting a new person every day. Yes, it’s what (or who) is on the inside that really matters, but the outside isn’t irrelevant. Physical attraction and sexual orientation do play important roles, and I’m glad that Levithan depicted Rhiannon as a tolerant yet grounded individual with a life outside her relationship, and not as some infatuated princess willing to drop everything for a boy. All in all, Every Day is a beautiful novel with some wonderful insights on life and love. As much as I would have liked to see some perspectives included (teenage pregnancy? special needs? bullying? ), I understand that it’s less about chronicling different points-of-view and more about discovering who you are and what you want when you have no frame of reference. Quite a feat for a writer! This is one book that gets people talking, so share your views in the comments! And whether you’re already a fan of Levithan or are inspired to check out his other work, read my review of The Lover’s Dictionary while you’re at it! The new year is less than a week away, and I still have four books to review before I present my complete ratings list. So let’s just jump right in, shall we? Today I wanted to review two romance novels: Gone with the Nerd by Vicki Lewis Thompson and The Lover’s Dictionary by David Levithan. I’m not a big reader of romance novels, especially not the embarrassing bodice-rippers with shirtless guys on the covers. But you haven’t read Thompson’s Nerd series, you’re in for a real treat. Currently seven stand-alone novels, the series focuses on women attracted to geeky computer programmers and engineers instead of princes and vampires. Gone with the Nerd, published in 2005, follows the sexual tension between actress Zoe Tarleton and her attorney Flynn Granger. Determined to nab some more serious roles, Zoe travels to California’s Bigfoot country so she can secretly rehearse her lines as a dowdy chemist. Flynn offers to go over lines with her, but what happens when their chemistry jumps off the pages? And what about all the mysterious accidents that keep occurring, including the poisoned food and killer bees? Granted, the plot’s predictable and the dialogue’s cheesy, but the love scenes are ultra-hot and Thompson always promises a happy ending. I also recommend Nerd in Shining Armor, Talk Nerdy to Me, and Nerd Gone Wild. Calling this a romance novel is a bit misleading, but it’s an excellent tale of love and loss. From the author famous for Nick and Norah’s Infinite Playlist and published earlier this year, it’s a unconventional story showing the rise and fall of the narrator’s relationship through word entries like a dictionary. Each letter of the alphabet can have multiple entries, which vary in length from a few pages to a single sentence. You never learn everything about their lives together, but you piece together their ups-and-downs all while learning new vocabulary! Written in a non-linear style, it’s a refreshing take on the person-meets-person plot (it’s even ungendered for universality). Beware, at only 224 pages, you’ll finish this book in one sitting. So wish it could have been a longer read! One of my favorite entries: autonomy, n. “I want my books to have their own shelves,” you said, and that’s how I knew it would be okay to live together. So if you’re interested in some good, not-old-fashioned love stories, check out these two. And be sure to read my final catch-up mini-review tomorrow!